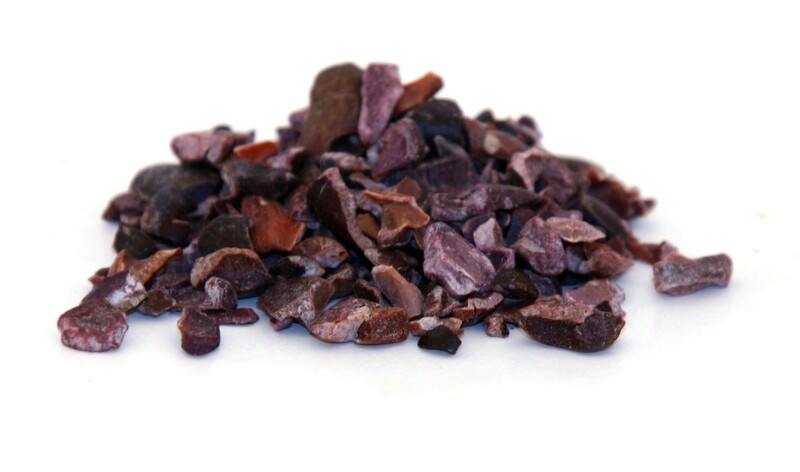 Cacao nibs are delicious pieces of pure, raw cacao bean that have an intense chocolate flavour and lovely aroma. Certified Organic and Raw Cacao Nibs. 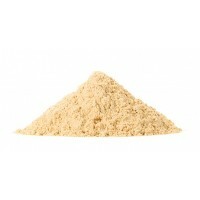 Available in 100g, 250g, 500g, 1kg. Raw cacao nibs are pure pieces of raw cacao that, unlike ordinary chocolate, are free from sugar and milk. They have a amazing and pure chocolate flavour that can be enjoyed just as they are as a handy snack. Cacao in its raw form such as these cacao nibs have been popular for thousands of years and was enjoyed by the Mayans and Aztecs who named it the "Food of Gods". Cacao nibs contain a unique composition of nutrients, including vitamin C, the minerals, iron, chromium, manganese, zinc and copper, fibre, omega-6 fatty acids, PEA (phenylethylamine) and a small amount of tryptophan, theobromine, anandamide and theophylline. These cacao nibs alos contain around 40% fat content (low compared to other nuts). We only ever use criollo beans and only if they are certified organic and from a ethical source. Criollo beans are recognised as the best beans in the world for flavour, consistency and nutrients. Cacao nibs possess an intense chocolate flavour and lovely rich aroma. Are the ideal ingredient in raw chocolate recipes. Contain fibre, omega-6 fatty acids & PEA (phenylethylamine). Contain only a small amount of tryptophan, theobromine, anandamide and theophylline. Contain surprisingly little caffeine and are totally free from refined sugars or dairy products. Are totally pure and free from mycotoxins, fungi and yeasts. 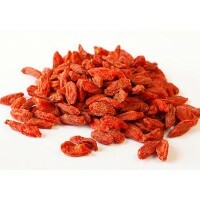 Cacao nibs can be enjoyed straight from the bag or combined with nuts and dried fruits to make a delightful trail mix. They can also be used to prepare a delicious range of raw recipes, including raw chocolate bars, and desserts, such as the delightful recipe below! 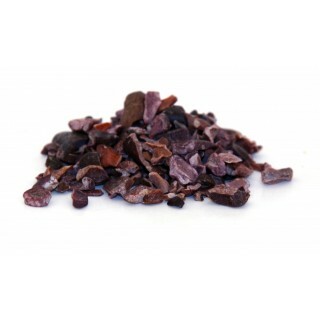 Cacao nibs are made from crumbled pieces of raw cacao bean. There are three varieties of raw cacao bean – Criollo, Forastero and Trinitario. 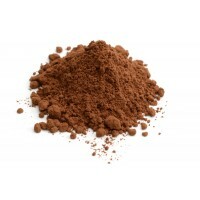 Raw cacao products, such as cacao nibs, are frequently used in both traditional Chinese and Ayurvedic medicine. Cacao nibs are rich in magnesium. The magnesium in cacao nibs contributes to a reduction of tiredness and fatigue and electrolyte balance. It also contributes to a normal energy-yielding metabolism, normal functioning of the nervous system, normal muscle function, normal protein synthesis and normal psychological function. In addition, magnesium contributes to the maintenance of normal bones and normal teeth, and has a role in the process of cell division. These wonderful delights have been enjoyed by you for over 10 years. Detox Your World was one of the first to introduce the joys of raw chocolate to the UK and your appetite for them has never been stronger! 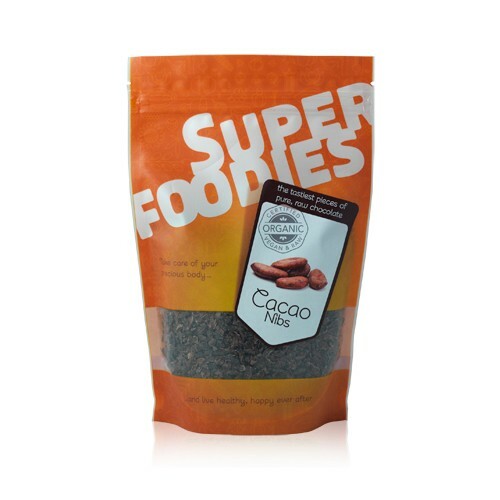 No better way than to get your fix of raw chocolate than with a quick handful of rich cacao nibs, these cacao nibs are the same great cacao nibs loved and trusted by you from Detox Your World, but now in a pretty new Superfoodies bag! 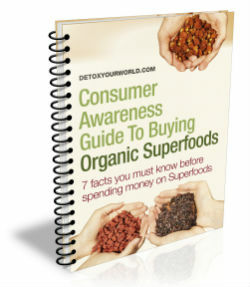 You can be safe in the knowledge that Detox Your World will always provide you the best cacao nibs, which will continue with Superfoodies. These cacao nibs can be consumed within 2 months of opening. Once opened, always ensure the pack's seal is closed and store the cacao nibs in a cool place. Do not buy cacao nibs if you have an allergy to caffeine or any other ingredients found in cacao nibs. Always read the packaging carefully before choosing to eat cacao nibs. Use cacao nibs in trail mix, breakfast dishes, raw chocolate recipes and desserts. Cacao nibs may cause digestive complaints, including stomach pain, nausea and constipation. Cacao nibs contain theobromine, theophylline and caffeine, all of which have a stimulating effect. Those who are pregnant, breastfeeding, or suffer from an anxiety disorder should consume cacao nibs in moderation. Always consult your GP before deciding to order cacao nibs, especially if you have raised blood sugar levels or suffer from diabetes, irritable bowel syndrome, gastro-oesophageal reflux disease or migraines, or if you have a cardiac arrhythmia (tachyarrhythmia). Stop eating cacao nibs at least two weeks prior to surgery, as cacao nibs can influence blood sugar levels both during and after surgery.